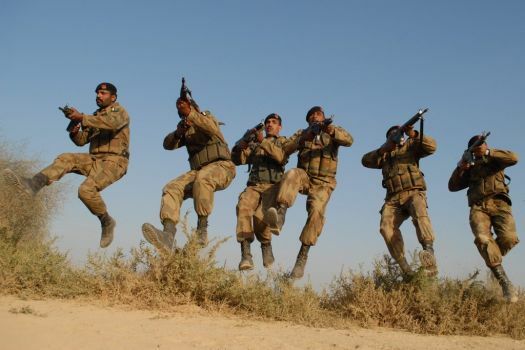 Pakistan has army now formally announced that Pakistan army is Victories in operations against TTP terrorists in South Wazirstan and Swat. This announcement is made in front of Senate committee in General headquarters. Director General military operation Javed Iqbal also told the details of the operation in South Wazirstan & Swat against Terrorists. it was told by Major General Javed Iqbal that more than 10000 army soldiers, officials and common people have lost their lives while more than 20000 where injured in terrorism that is connected with Tribal areas. it was also told to committee that it is now duty of Pakistan government to take control of these areas and start different projects. it was also told that Pakistan's future is connected with the situation of Afghanistan because Afghanistan situation has always effected Pakistan specially NWFP so we need to keep our Nation interest in mind while making any police about Afghanistan.congratulations to Pakistan army and people on doing a successful operation against Indian backed TTP terrorists in Tribal areas.